SS501 ASIAN FANS SITE: Triple S... Wait, Trust And Believe! Triple S... Wait, Trust And Believe! TO ALL THOSE WHO ARE ASKING ME WHAT WILL HAPPEN TO SS501, I WOULD ADVICE YOU GUYS TO JUST WAIT FOR THE OFFICIAL STATEMENT FROM DSP ENTERTAINMENT. WHAT MAKES ME MAD ARE THOSE NEWS TIDBITS THAT ARE OUT OF CONTROL, WHICH I'M SURE YOU'VE ALL READ ONE WAY OR ANOTHER. I CHOOSE NOT TO POST THEM HERE BECAUSE I DON'T THINK I NEED TO. PLEASE DON'T BELIEVE EVERY SINGLE COMMENT YOU READ. REMEMBER, NEWS ARE ALSO WRITTEN BY PEOPLE. AND ALTHOUGH THERE CAN BE TRUTH THERE, SOMETIMES THEY ADD UNNECESSARY COMMENTS THAT ARE TOTALLY OUT OF LINE AND UNTRUE! SO BEFORE YOU SPREAD THESE THOUGHTS AND STATEMENTS THAT YOU READ IN SOME NEWS BLOG, THINK 501 TIMES FIRST. DON'T GO AROUND CAUSING PANIC. LET'S WAIT FOR THE OFFICIAL STATEMENT ABOUT THE WHOLE GROUP, NOT JUST 1, BUT OF ALL 5 MEMBERS OF SS501! 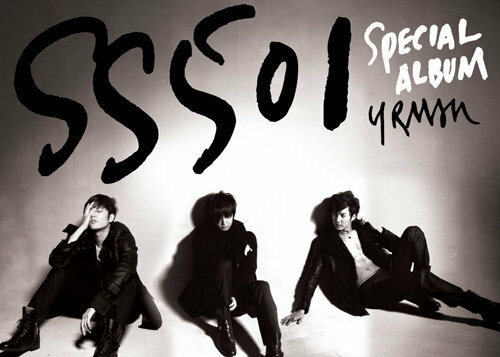 IF YOU'VE FOLLOWED SS501 THROUGH THE YEARS, THEN I'M SURE YOU'VE SEEN THEIR BOND AS BROTHERS. NO ENTERTAINMENT COMPANY CAN BREAK THAT BOND. IF YOU'RE A TRUE TRIPLE S, YOU WILL STILL BELIEVE AND SUPPORT SS501 NO MATTER WHAT HAPPENS!